During my last closet clean out I realized that one item in particular was in need of an update, my denim bottoms. To me, a great pair of jeans is one of those items that looks better the longer you have a pair. My favorite? A pair of boyfriend jeans from 6 years ago, that I wear all the time. Come fall, when tops are more oversized and heavy sweaters require slim bottoms to balance it all out; it’s my black Paige and AG dark skinnies. 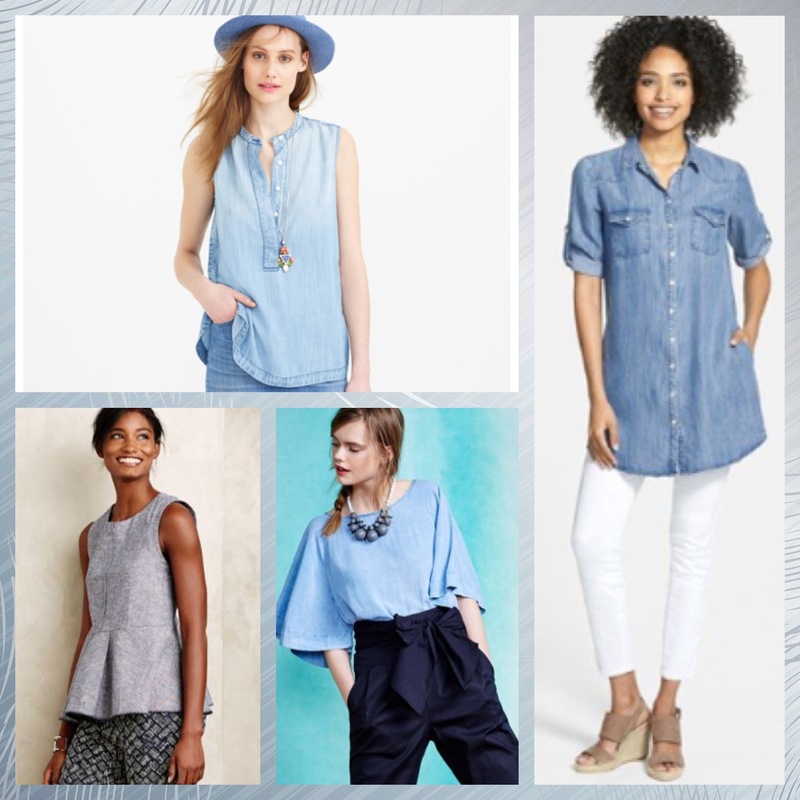 Trends in denim have stayed the same for years with really nothing new to get all to excited about. 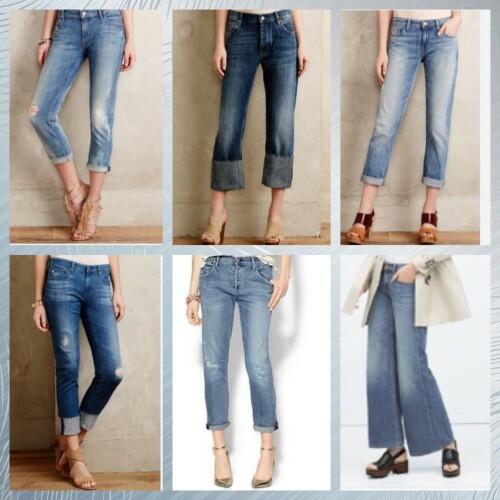 It’s been pretty much about skinnies, straight leg or boot cut – pretty straight forward. Sure, colored skinnies popped up, but really not much else – until now. 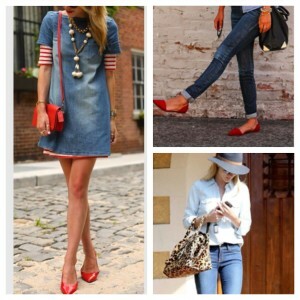 Denim is everywhere this year from classic suiting styling to destroyed boyfriend jeans and everything in between. Full circle, I have donated or consigned any denim that is no longer working for me and am on the lookout for a few replacements. A fun new silhouette – palazzo, flair, new wash,white – not sure yet but that’s part of the fun! 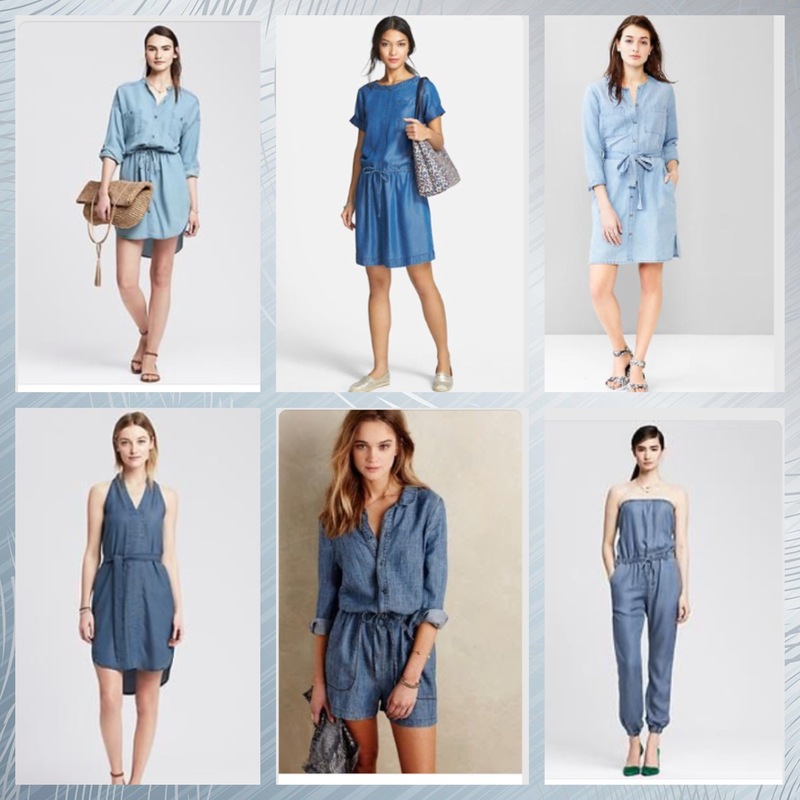 From chambray to dark denim, dresses and skirts to jumpsuits and beyond – the possibilities are endless! 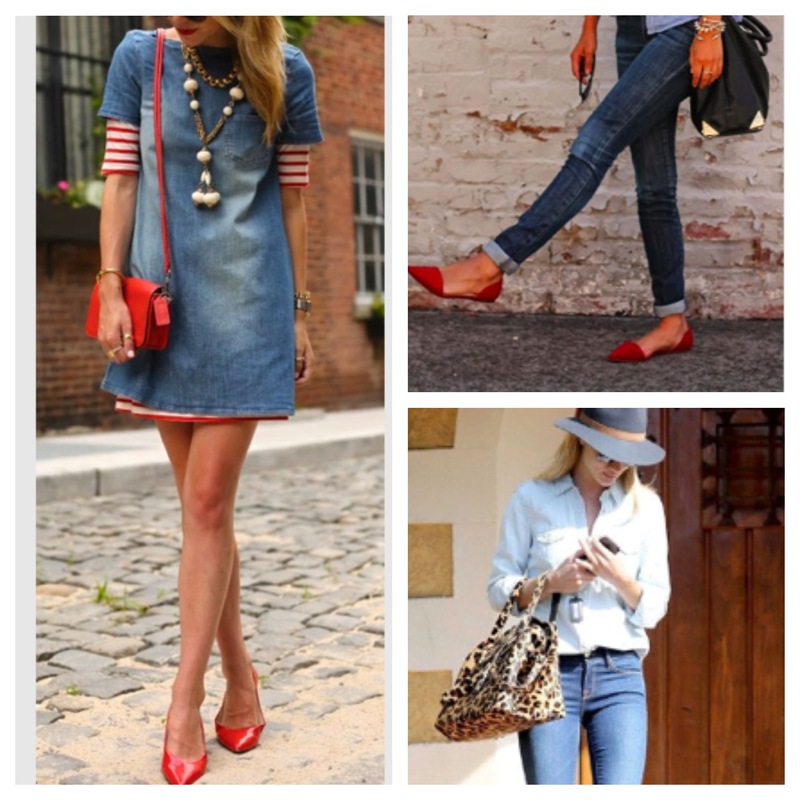 Off-set all blue with a pop of color in your shoes or bag. Try colors like yellow, pale pink, red or orange. Neutral more your thing? Try taupe or cognac accessories and bag. Flares? 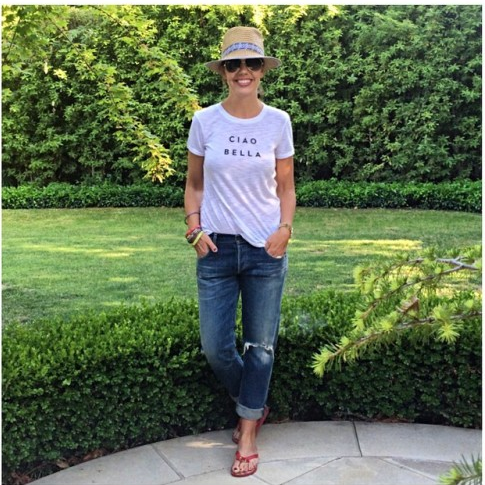 Opt for a chunky wedge sandal and tuck in your shirt to show off your waist. 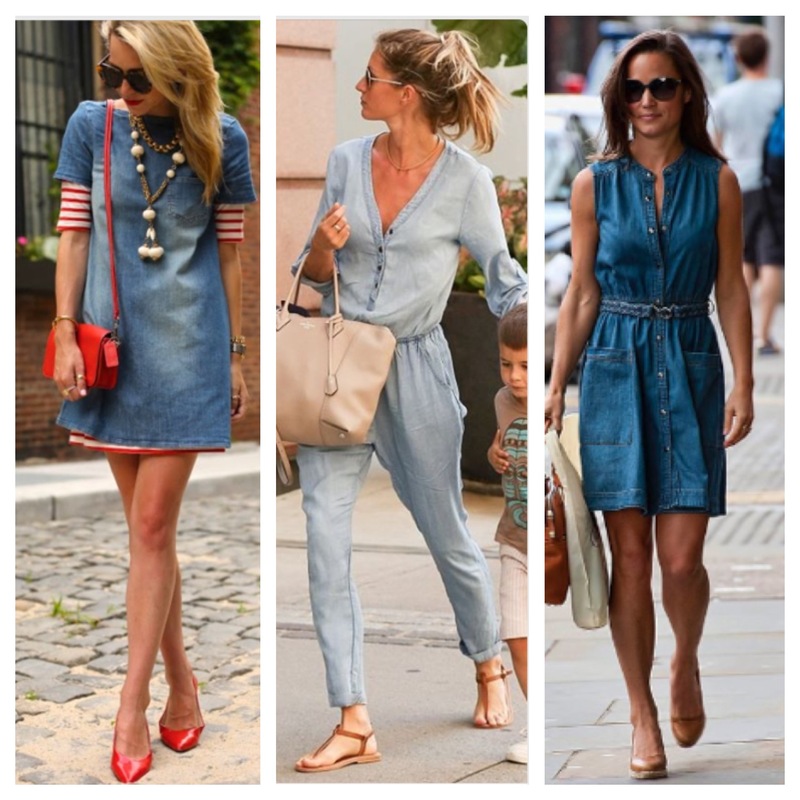 Chambray dress? Try adding a sleek choker and strappy heels or sneakers. 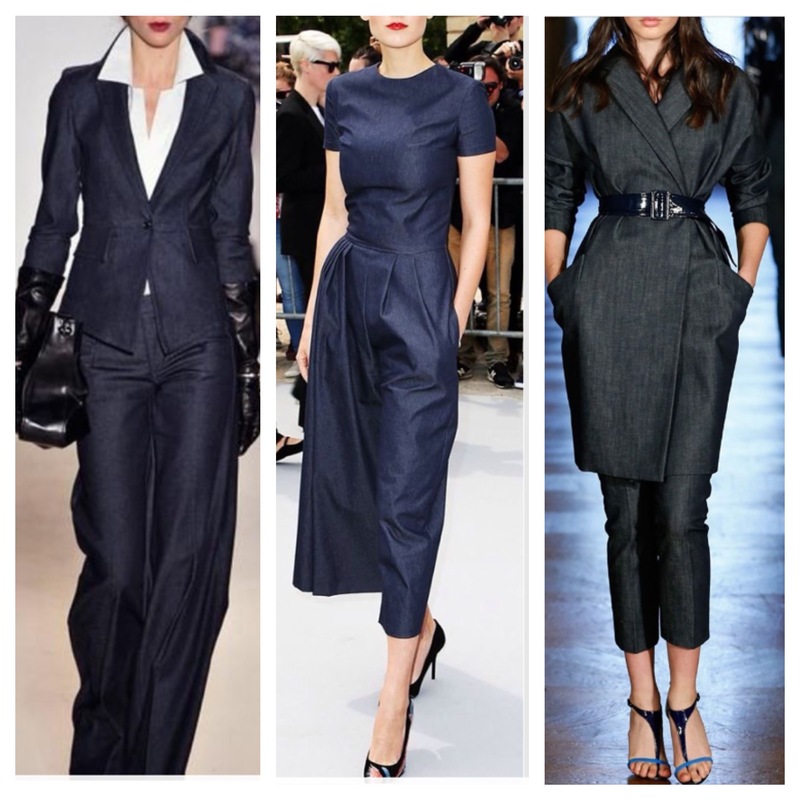 Denim Suiting? Stick with tailored pieces in dark denim. 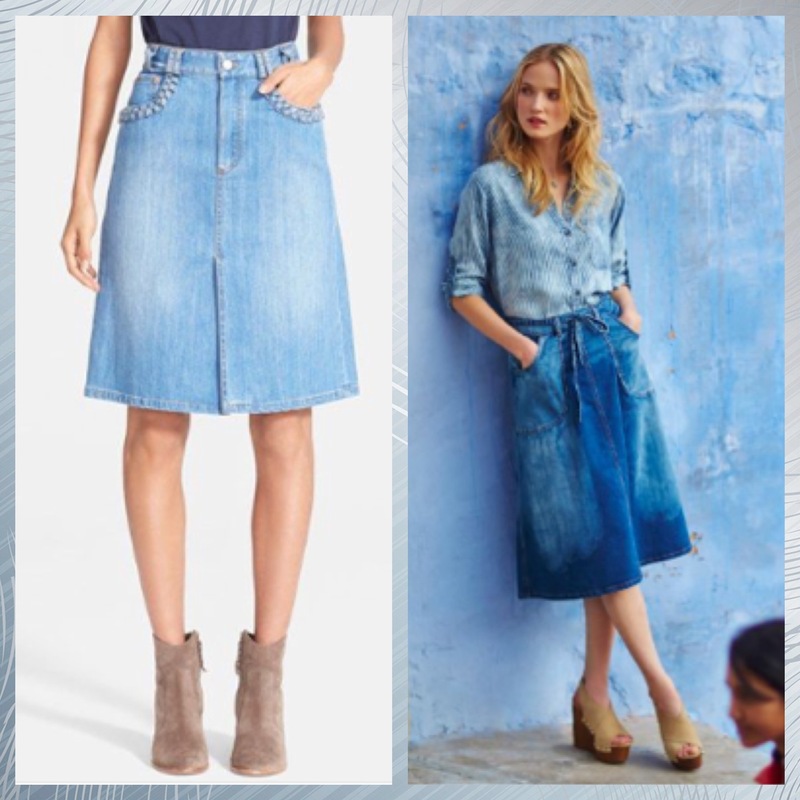 Anyone else looking to update their denim? Have you found a great piece that you love? Do share! I know we’d all love to hear! Thanks for stopping by, and enjoy the weekend!